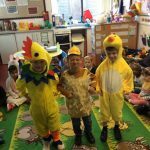 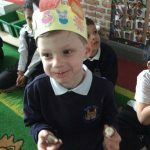 Check out the Chicks and Bunnies in the Swans class today! 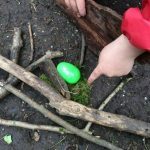 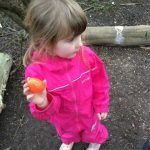 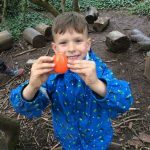 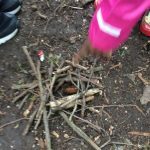 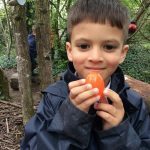 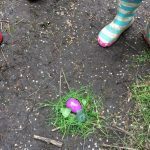 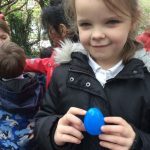 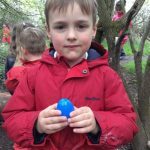 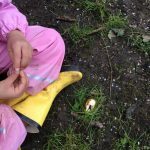 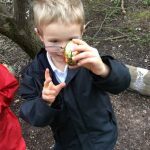 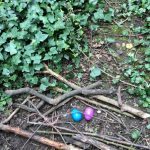 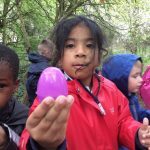 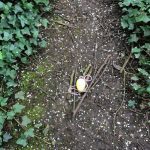 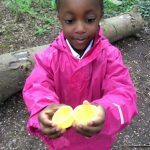 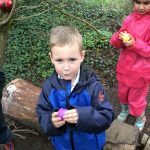 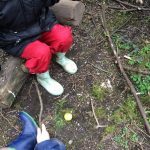 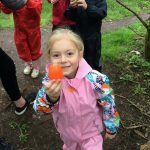 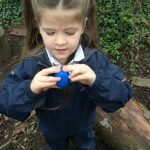 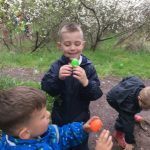 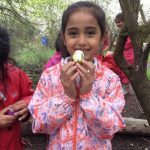 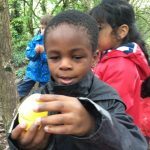 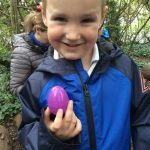 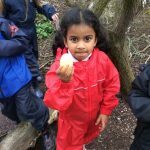 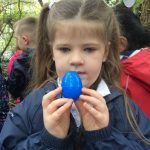 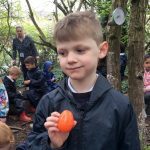 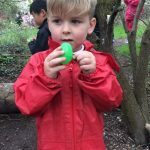 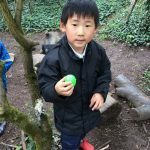 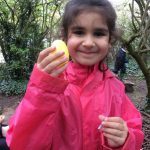 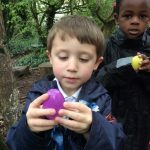 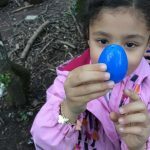 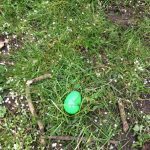 During Forest school this week children were given half of a plastic egg and had to go and find their other matching half. 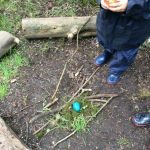 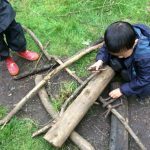 Then children were encourage to use natural materials to make a nest for their egg. 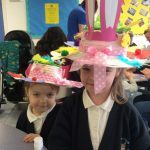 Once the hats were finished the parents gathered in the hall to watch their children show off their creations in an Easter bonnet parade. 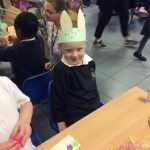 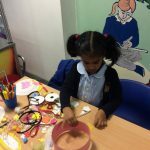 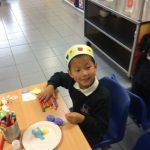 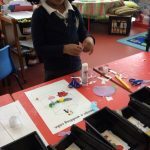 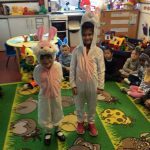 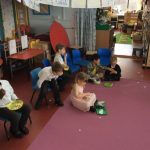 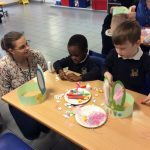 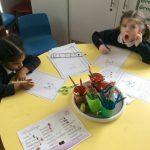 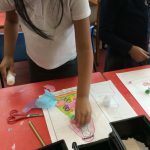 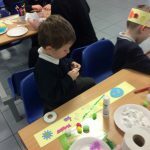 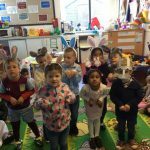 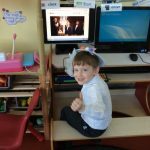 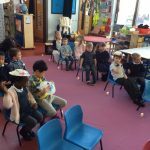 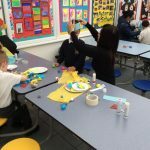 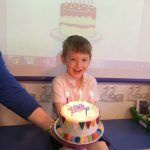 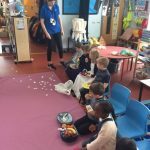 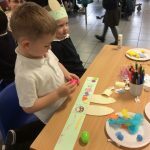 This week the foundation stage held their Easter workshop. 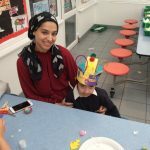 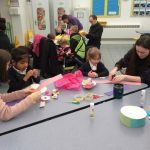 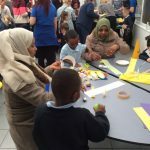 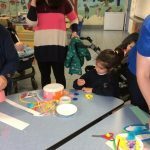 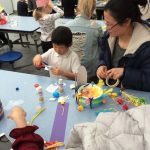 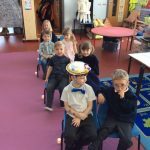 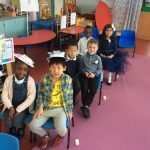 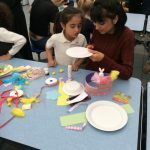 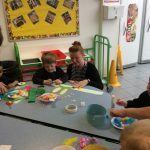 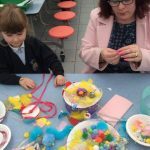 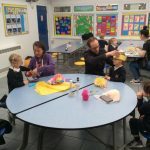 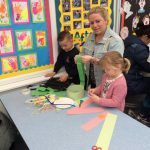 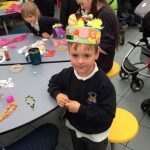 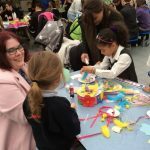 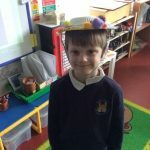 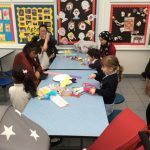 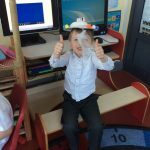 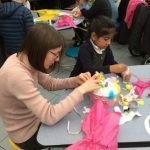 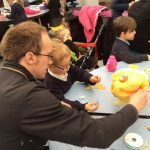 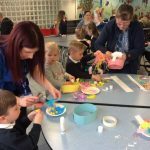 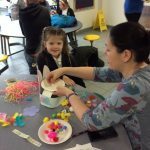 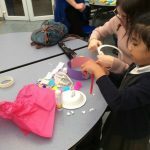 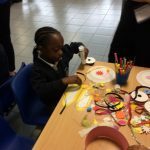 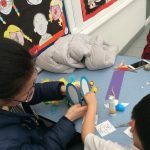 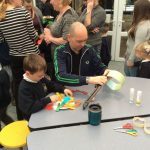 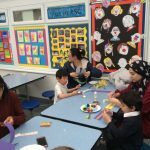 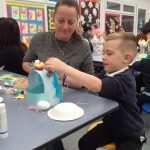 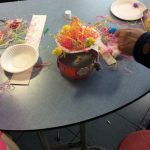 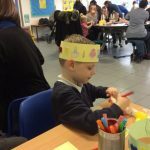 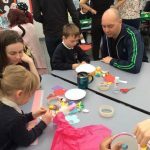 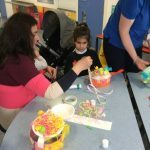 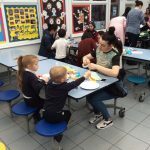 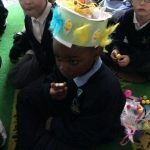 Parents were invited to join their children to make an Easter hat. 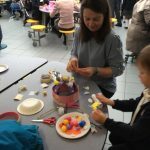 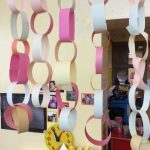 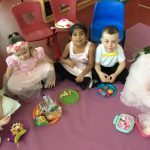 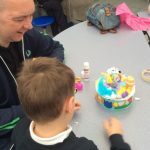 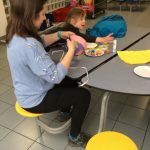 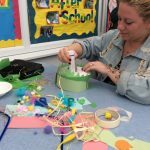 Everyone gathered in the dinner hall, selected the resources they wanted to use from a large selection and then set about making their creations. 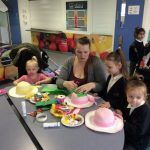 There were lots of great hats created! 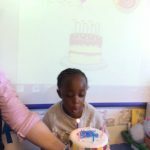 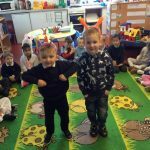 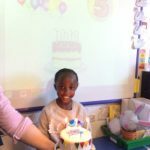 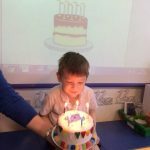 This week we celebrate 2 Swan birthday’s. 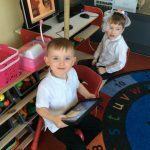 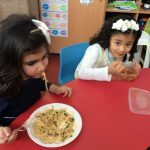 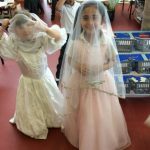 Read our latest class newsletter. 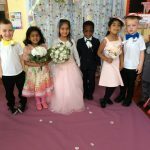 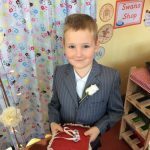 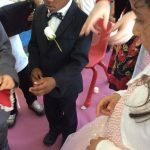 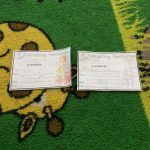 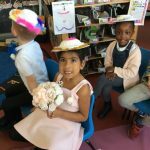 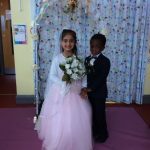 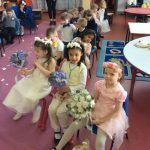 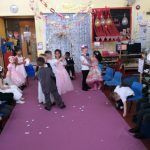 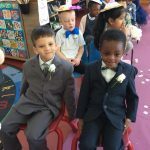 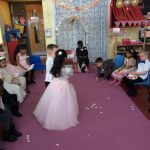 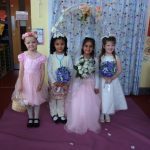 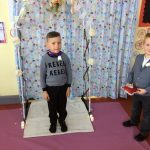 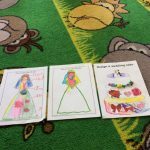 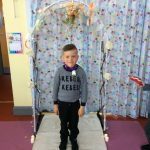 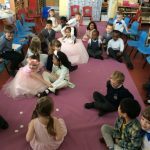 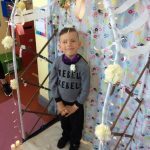 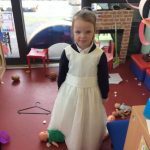 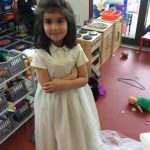 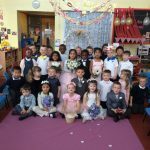 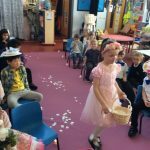 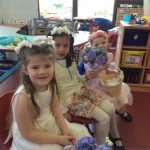 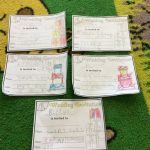 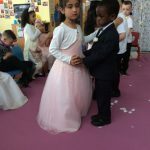 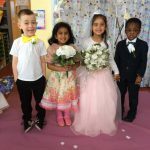 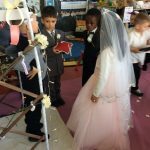 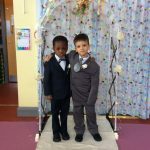 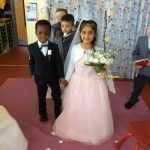 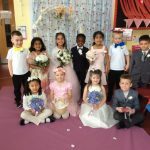 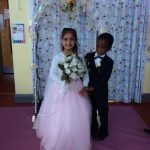 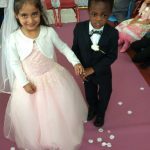 This week children have been writing about weddings. 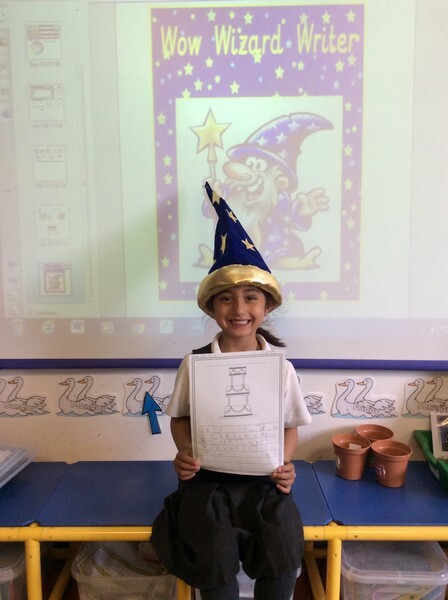 Well done Maya for being this weeks Wow wizard writer. 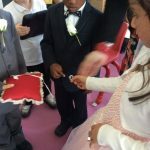 This week our theme has been all about weddings. 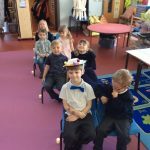 We have made invitations, decorations, hats and dressed up. 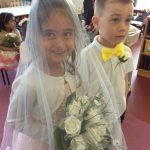 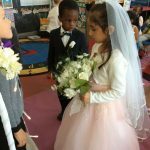 This week we have learning about weddings. 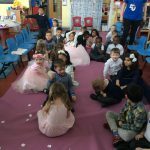 Today we had our very own Swan wedding. 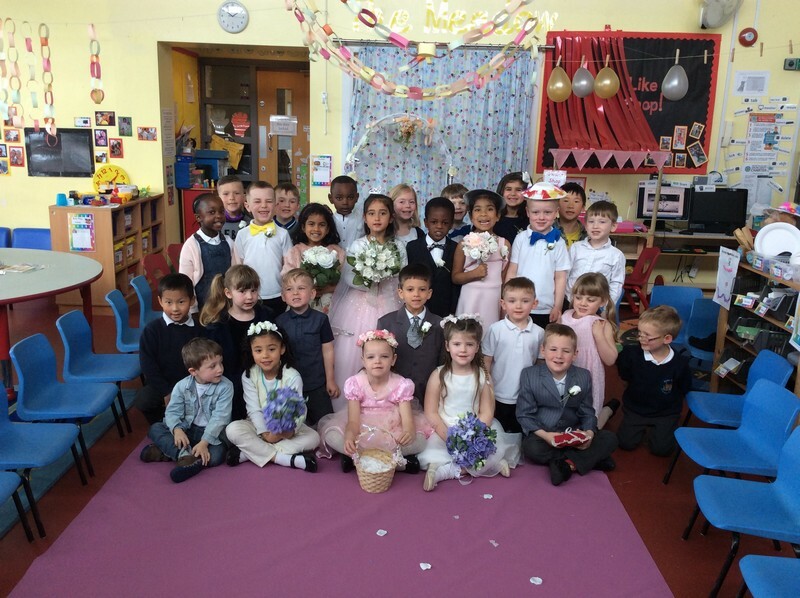 We started the week reading the Oxford Reading Tree book ‘The Wedding’ about Wilma who is asked to be a bridesmaid for her aunty Jo. 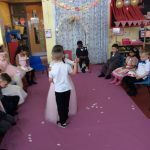 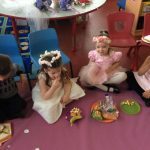 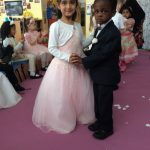 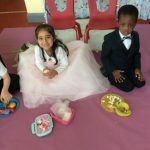 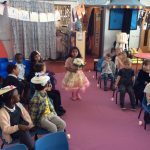 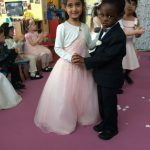 We discussed the different roles that people at a wedding play. 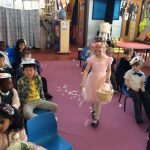 Children decided what role they would like to play and then we used the random name selector to pick who played each role. 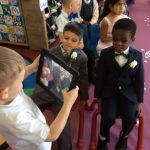 Today we had a Bride, Groom, Bestman, Bridesmaids, a flower girl, a Ring Bearer, Parents of the Bride and Groom, a celebrant, a photographer, an organist and everyone else were the guests. 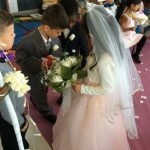 Once all the guests were seated we had a procession of the Wedding Party. 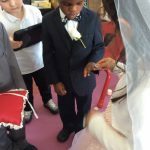 First down the aisle was the celebrant. 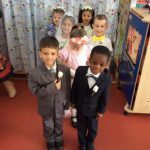 Followed by the Mum and Dad of the Groom, the Groom and the Bestman, the Ring Bearer and then the Mother of the bride. 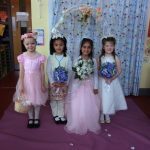 After the mother of the bride came the flower girl followed by the Bride and her Father and lastly came the Bridesmaids. 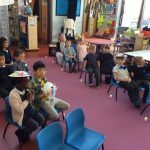 We held a simple service. 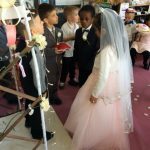 Then we had a wedding reception with pretend champagne (apple juice and lemonade) where the bride and groom were toasted. 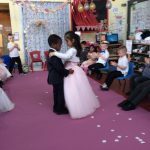 This was followed by the first dance. 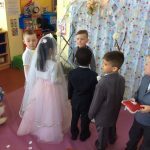 Then the Wedding Party joined in. 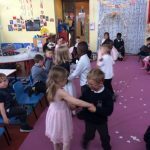 Finally everyone joined in the dancing. 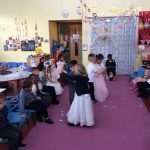 Finally the wedding reception was finished off with food and disco dancing!